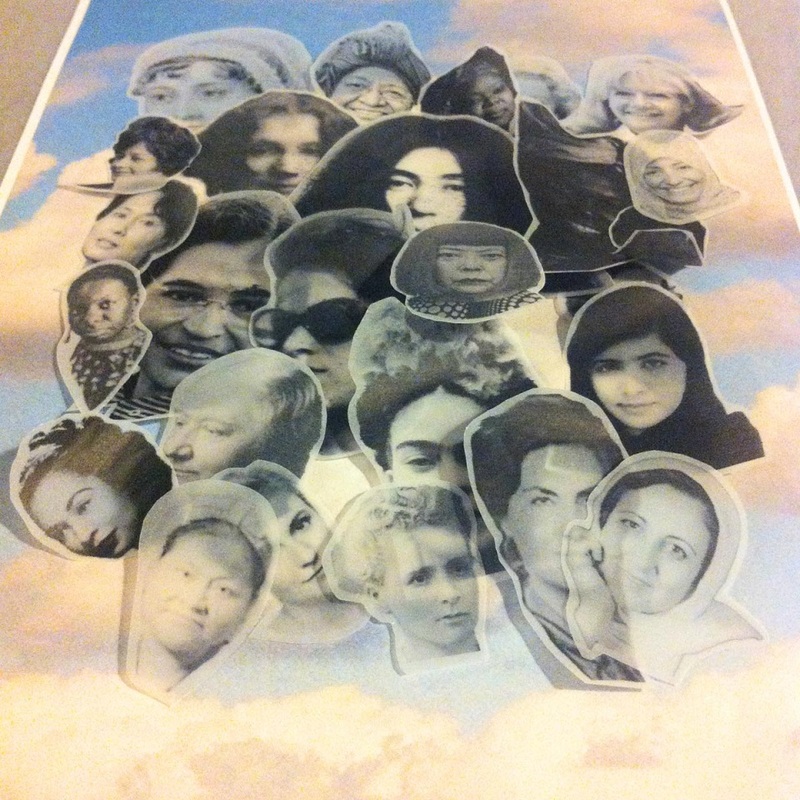 The print is a digital replica of an original mixed media collage of super women, who have moved mountains. 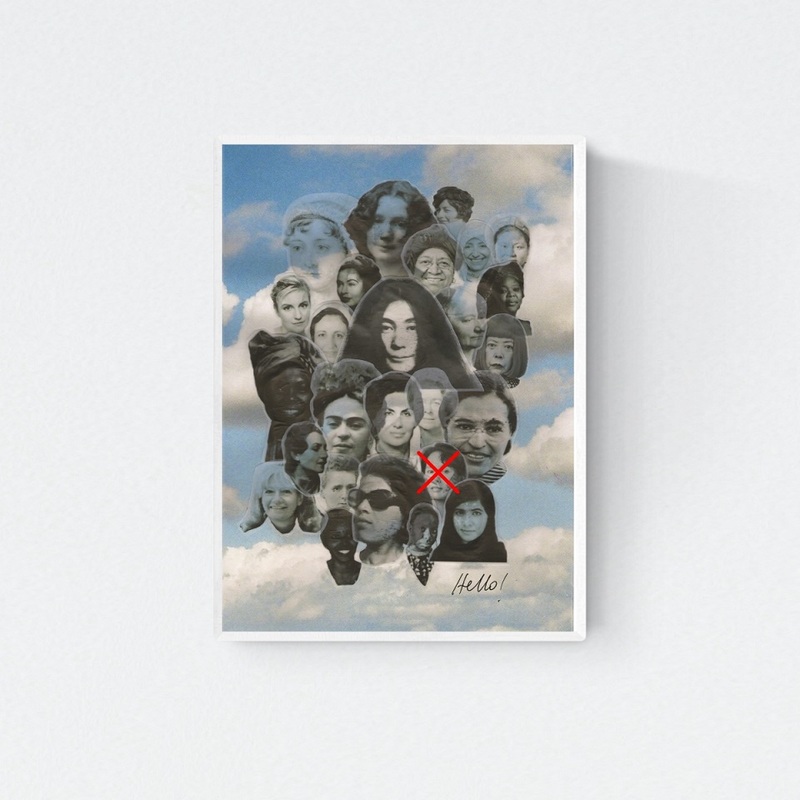 It features photographs of extraordinary women ranging from Nobel Prize winners to artists and of course our honorary founder Hamide printed on transparent paper and placed on a sky photograph. The original collage was created by layering black and white photographs printed on tracing paper on a sky photograph by Seyda Ozcetin printed on textured water color paper. More information and the product details are below. Designed by Şeyda Özçetin & Seda Özçetin in 2016. “Super Woman” collection celebrates super women. Description: The print is a digital replica of an original mixed media collage of super women, who have moved mountains. 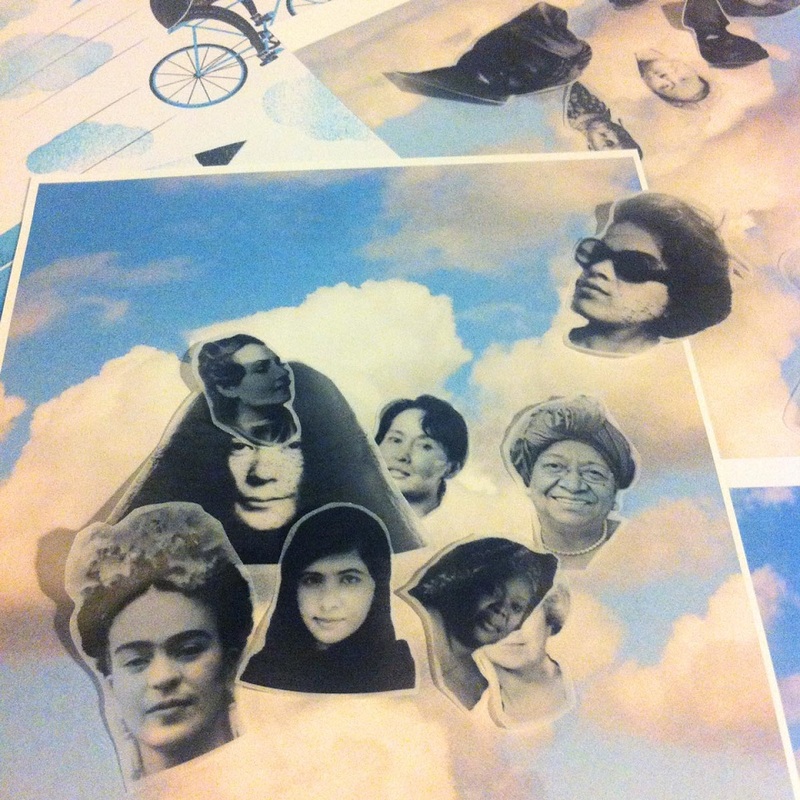 It features photographs of extraordinary women ranging from Nobel Prize winners to artists and of course our honorary founder Hamide printed on transparent paper and placed on a sky photograph. The original collage was created by layering black and white photographs printed on tracing paper on a sky photograph by Seyda Ozcetin printed on textured water color paper. Aung San Suu Kyi was part of our print Super Women due to her past, accomplishments and holding a Nobel Peace Prize. But right now with great sadness we are witnessing genocide against Rohingya people in her rule. We hold her responsible. Thus, we took the decision of removing her from our print. She doesn’t deserve that spot at all. However, since the material is already printed, we will hack the rest of the prints in various ways one by one by hand. If you own this print, please you also hack and remove her somehow! We would also appreciate very much if you follow what is happening there and sign all the petitions to protect these people and justice to be served.